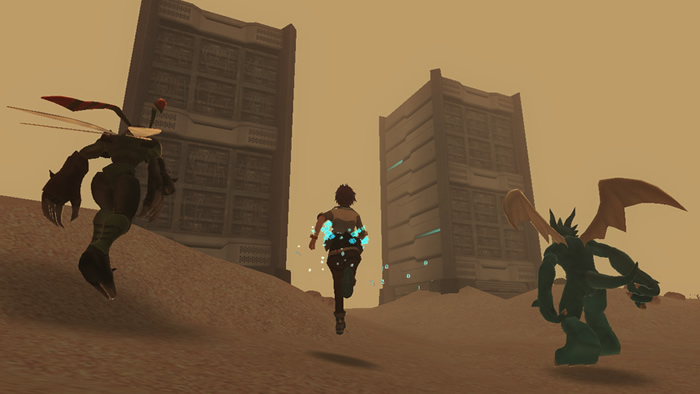 October 16th, 2015. 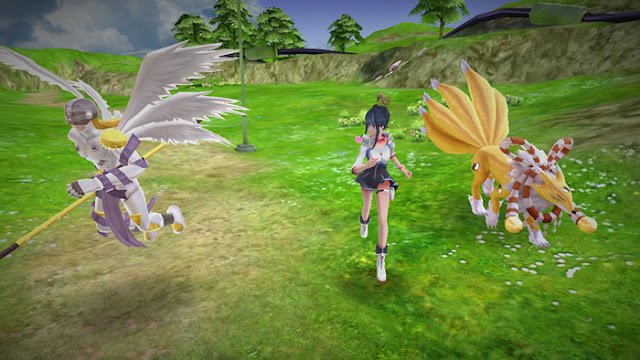 Today the Digimon World -next 0rder- title site updated with a new batch of screenshots showing the game's male and female protagonists Takuto and Shiki with a lineup of new Digimon not seen in previous updates. 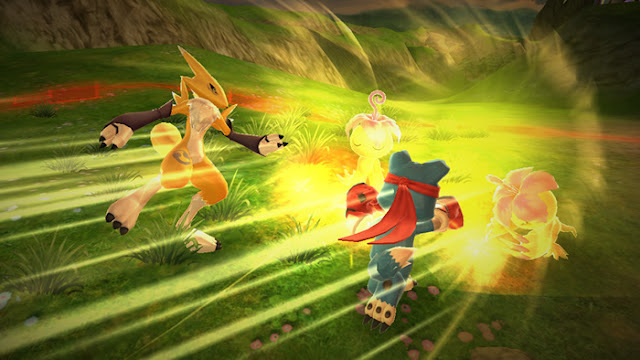 The new screenshot batch confirms that Renamon, Kyubimon, Diablomon, Angemon, Stingmon, XV-mon, Gaomon, Mirage Gaogamon, and Dynasmon will all be included as usable Digimon in the game. 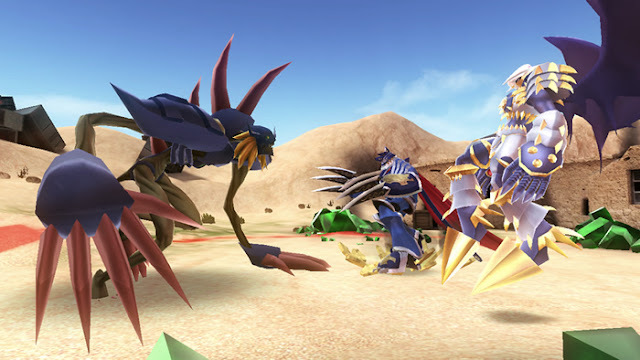 The pairing of Stingmon and XV-mon is an especially interesting choice given that past updates have shown War Greymon and Metal Garurumon in a party, and the game's TGS2015 trailer showed off Omegamon in battle. With Jogress potentially being an in-battle evolution option, Stingmon and XV-mon may point to Paildramon's inclusion in the game as a Jogress. yeah seems the hint kinda feel obvious they will included real time jogress that would be awesome i think..